Dr. Mort is a primary care physician with interests in women's health, prevention and disease management. She currently serves as the Senior Vice President of Quality and Safety and Chief Quality Officer at Massachusetts General Hospital and Massachusetts General Physicians Organization. She is nationally recognized for her work in quality measurement and improvement. Dr. Mort completed her residency in primary care at MGH in 1986, a fellowship in Health Care Policy at Harvard Medical School in 1991, and a Masters in Public Health at the University of Michigan in 1982. Dr. Mort is an Assistant Professor in both the Department of Medicine and Health Care Policy at Harvard Medical School. 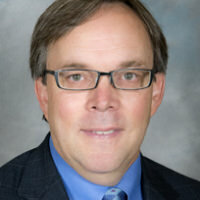 Thomas H. Gallagher, M.D., is a general internist who is Professor in the Department of Medicine at the University of Washington, where he is Associate Chair for Patient Care Quality, Safety, and Value. He is also a Professor in the Department of Bioethics and Humanities. Dr. Gallagher received his medical degree from Harvard University, Cambridge, Massachusetts, completed his residency in Internal Medicine at Barnes Hospital, Washington University, St. Louis, and completed a fellowship in the Robert Wood Johnson Clinical Scholars Program, UCSF. Dr. Gallagher’s research addresses the interfaces between healthcare quality, communication, and transparency. 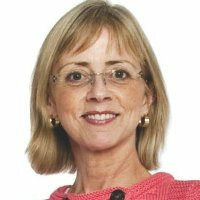 Dr. Gallagher has published over 95 articles and book chapters on patient safety and error disclosure, which have appeared in leading journals including JAMA, New England Journal of Medicine, Health Affairs, Surgery, Journal of Clinical Oncology, Archives of Internal Medicine, Archives of Pediatric and Adolescent Medicine, and the Joint Commission Journal. His work in error disclosure received the 2004 Best Published Research Paper of the Year award from the Society of General Internal Medicine, as well as the 2012 MITSS Hope Award. He also received a Robert Wood Johnson Foundation Investigator Award in Health Policy Research. He is the principal investigator on grants from the Agency for Healthcare Research and Quality, the National Cancer Institute, the Robert Wood Johnson Foundation, and the Greenwall Foundation. He is senior author of the book Talking with Patients and Families About Medical Errors: A Guide for Education and Practice, published in 2011 by The Johns Hopkins University Press. 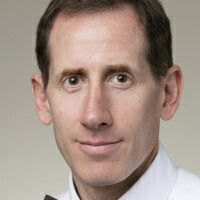 At the University of Washington, he directs the UW Medicine Center for Scholarship in Patient Care Quality and Safety. He served on the Institute of Medicine Committee on Diagnostic Error in Healthcare, and was an appointed Commissioner on the National Commission on Physician Payment Reform. Dr. Gallagher is an active member of many professional organizations, including the American College of Physicians (Fellow), and is President-Elect of the Society for General Internal Medicine. 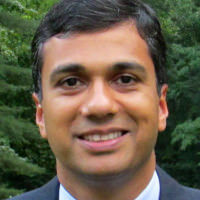 Allen Kachalia, MD, JD, is the Chief Quality Officer for Brigham & Women’s Hospital in Boston, Massachusetts. In this role, he oversees the institution’s inpatient and ambulatory quality and safety initiatives. Dr. Kachalia is a general internist and practices as an academic hospitalist on the hospital wards with medical students and residents. Dr. Kachalia is also Associate Professor of Medicine at Harvard Medical School and Associate Professor of Health Policy and Management at the Harvard School of Public Health where he teaches a course on legal issues in clinical medicine. His research focuses on how the law affects medical care, particularly how liability system reform and the disclosure of medical error relate to the quality and safety of healthcare. 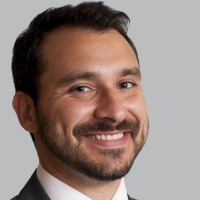 Jason M. Etchegaray is a senior behavioral and social scientist at the RAND Corporation. He focuses on researching areas where industrial/organizational psychology, healthcare, and patient safety/quality intersect. He was lead of the technical core at The University of Texas for a 5-year AHRQ-funded Center of Excellence grant that translated best practices from aviation to healthcare and helped develop and implement an anonymous close call reporting system as well as an alternative error reporting system for nurses. He completed an AHRQ-funded grant, with a major component focused on the creation, development, and validation of a survey that can be used to identify high-performance work systems in healthcare settings. He recently completed an AHRQ-funded grant which allowed patient safety experts to discuss current and future directions of safety culture research in healthcare and served as a co-investigator on a AHRQ-funded grant focused on medical error disclosure and compensation. 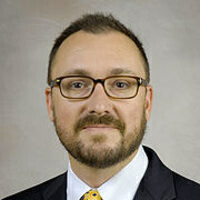 He is currently a primary investigator of an AHRQ-funded grant examining how NICU parents conceptualize safety culture. 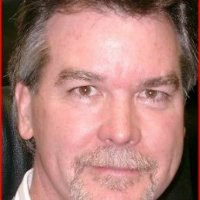 He received his Ph.D. in industrial/organizational psychology from the University of Houston. Stephen Schenkel holds a Bachelor’s degree in Humanities from Yale College, an MD from Harvard Medical School, and a Master’s in Public Policy from the John F. Kennedy School of Government. He completed a residency in Emergency Medicine at the University of Michigan, serving as chief resident during his final year. In 2003 he joined the faculty of Emergency Medicine at the University of Maryland with primary clinical duties at Mercy Medical Center. He became chief of the Department of Emergency Medicine at Mercy Medical Center in 2007. With the Maryland Patient Safety Center, he chaired a statewide Emergency Medicine Patient Safety Collaborative and served on the Board of Directors. From 2014-15, he was President of the Maryland Chapter of the American College of Emergency Physicians where he worked to improve access to care, clarify insurance coverage, respond to Maryland’s scourge of opioid overdose, and encourage alternative approaches to medical malpractice. He received the Maryland Emergency Physician of the Year award in 2005. In his clinical role at Mercy Medical Center he instructs residents and medical students at the bedside. He directs two lecture tracks for the University of Maryland Emergency Medicine resident conference series: behavioral health and morbidity and mortality. He has lectured regionally and internationally on patient safety and Emergency Department administration. He is one of four editors of the 2009 text Patient Safety in Emergency Medicine. He is currently an Associate Professor at the University of Maryland School of Medicine. David Mayer, MD, is vice president of Quality and Safety for MedStar Health. He is responsible for overseeing the infrastructure for clinical quality and its operational efficiency for MedStar and each of its entities. Dr. Mayer also designs and directs systemwide activity for patient safety and risk reduction programs. Dr. Mayer joins MedStar from the University of Illinois Medical Center in Chicago, Ill. Over the course of 10 years, he held numerous roles including co-executive director of the UIC Institute for Patient Safety Excellence, director of UIC Masters of Science Patient Safety Leadership Program, associate dean for Education, and associate chief medical officer for Quality and Safety Graduate Medical Education. Concurrent with his other roles, he served as vice chair for Quality and Safety for the Department of Anesthesiology, where he was an associate professor of Anesthesiology and director of Cardiac Anesthesiology. Dr. Mayer also founded and has led the Annual Telluride International Patient Safety Roundtable and Patient Safety Medical Student Summer Camp for the last eight years. In addition, he has significant experience in the private sector as director of Medical Affairs of the Hospital Products Division of Abbott Laboratories and was president and founder of Esurg Corporation. Dr. Mayer attended the University of Illinois at Chicago for both his undergraduate and medical degrees. He completed his internship and residency at Michael Reese Hospital and Medical Center, followed by a fellowship in cardiac anesthesia. Additionally, he co-produced the patient safety educational film series titled "The Faces of Medical Error…From Tears to Transparency," which won numerous awards including the prestigious Aegis Film Society Top Short Documentary Award. Most recently, Dr. Mayer was presented with the 2013 Founders’ Award from the American College of Medical Quality for his outstanding contributions to quality management and improvement. Based on his commitment to teaching, service and patient advocacy, Dr. Mayer received the University of Illinois/American Association of Medical Colleges Humanism in Medicine Award. He also was recognized by the Institute of Medicine in Chicago in 2010 with the Sprague Patient Safety Award. He regularly presents and writes on topics related to quality and patient safety, and has received grant funding from the United States Department of Education, the Agency for Healthcare Research and Quality, and the Anesthesia Patient Safety Foundation. Anne J. Gunderson, assistant vice president for education, safety and quality at MedStar Health, and professor of medicine and associate dean for innovation in clinical education at Georgetown University Medical Center and, is a leader in patient safety issues and medical education. Dr. Gunderson is responsible for creating and leading safety, quality and leadership educational offerings for the health care system. Additionally; Dr. Gunderson created and serves as the director for the Georgetown University Executive Masters in Clinical Quality, Safety and Leadership degree program. 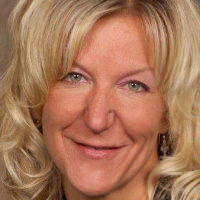 Dr. Gunderson holds a doctorate in Educational Leadership and she is a board certified Geriatric Nurse Practitioner. Her academic career in medicine is highlighted by a high level of knowledge and skill in regard to strategic planning and curricular design; novel, cutting edge educational methodology; and current trends in curriculum delivery, assessment and evaluation. Prior to being recruited to MedStar, Dr. Gunderson served as Associate Dean for Medical Education and Professor, Department of Medical Education at the University of Cincinnati College of Medicine. In Cincinnati, she led a comprehensive revision of the medical student curriculum and a successful LCME accreditation. At the University Of Illinois Chicago College Of Medicine, Dr. Gunderson designed and created the Masters of Science in Patient Safety Leadership programs and served as the founding program director prior to her move to Cincinnati. Dr. Gunderson has served as a leader for the Telluride Patient Safety Round-Table since 2006 She has also served as an invited advisor for the AMA and the Lucian Leape Roundtable. She served two terms on the Association of Rehabilitation Nurses Board of Directors and a 3 year term on the American Geriatrics Society Health Care Systems Committee. She served 3 years as Chair of the Association of American Medical Colleges Central Group for Educational Affairs and the Group on Educational Affairs; and 4 years as the UGME section leader. Dr. Gunderson’s research interests have led to PI/Co-PI roles on projects funded by the U.S. Department of Education, HRSA, D.W. Reynolds Foundation, John A. Hartford Foundation and multiple state level grants. David currently serves as the Director of Quality and Patient Safety for Hospital Medicine at Massachusetts General Hospital. The Hospital Medicine service at MGH consists of 85 providers who collectively care for an average of 140-160 patients daily across the teaching and non-teaching services. As Director, David leads the development and execution of a comprehensive quality and safety strategy for the Division focused on enhancing transparency and visibility, including creating development tracks for hospitalists interested in careers in QI. Prior to his current role, he graduated with an economics degree from Wesleyan University, attended medical school at Tufts University and completed an MD, MBA dual degree, trained in Internal Medicine at Beth Israel Deaconess Medical Center for residency, finished an MPH degree from the Harvard School of Public Health and trained as a Harvard Medical School Fellow in Patient Safety and Quality. David aspires to grow a career in hospital administrative leadership, where he feels most energized helping to redesign complex care systems with the goal of maximizing quality and value and minimizing costs.